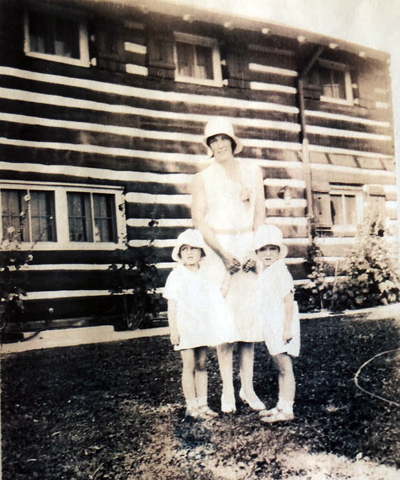 The 1921 Tosa log cabin is set to make the second move of its lifetime on March 13. 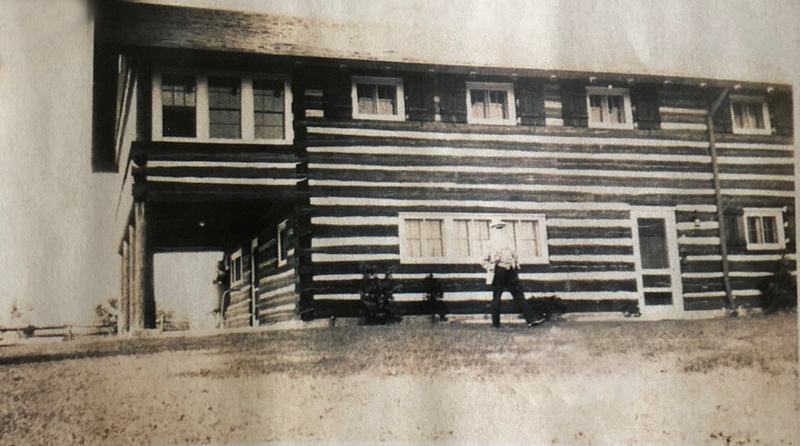 Published March 11, 2019 at 2:01 p.m.
After a number of false starts, the so-called Tosa log cabin is expected to be moved on Wednesday, March 13, beginning at about 10 p.m.
As I've written in the past, the cabin-looking building at 2515 N. Wauwatosa Ave., will be moved to a new site on the northwest corner of 64th Street and North Avenue, about a mile from the current location. The old site will become home to the Gallatin Apartments, a 27-unit residential building designed by Kahler Slater Architects. Three previous planned dates for the move were stymied by weather, according to Joe Galbriath and Nick Carnahan, partners in Galbraith Carnahan Architects, 6528 W. North Ave., who own the cabin and will renovate it for use as the firm's new office. The Gallatin developer Chris Houden offered to donate, rather than raze, the cabin and the two architects stepped forward to claim it. 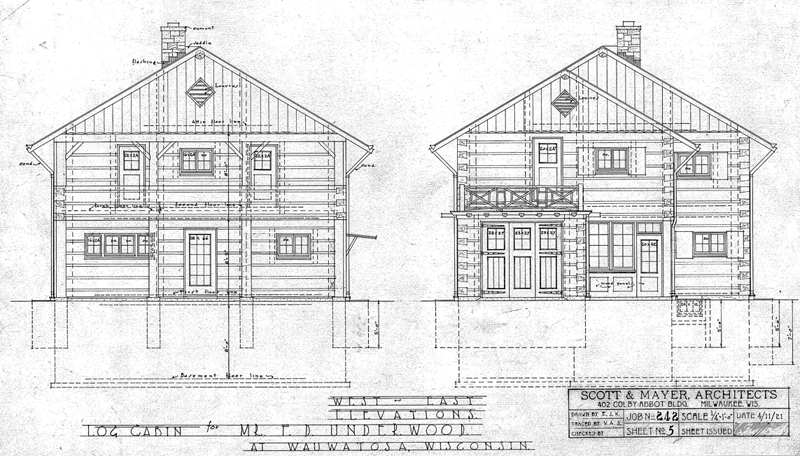 Despite the fact that some believe the cabin to date back to pioneer days in Wauwatosa, the cabin was built in 1921 to plans drawn by Scott & Mayer at a cost of $15,000, by railroad executive Frederick D. Underwood. It was erected on a nearby site called Few Acres Farm, a 7.5-acre plot on the northwest corner of Wauwatosa and North Avenues, where the two-story Underwood mansion also stood. "There's been some misinformation floating around out there," says Carnahan. "The building was absolutely constructed in 1921. 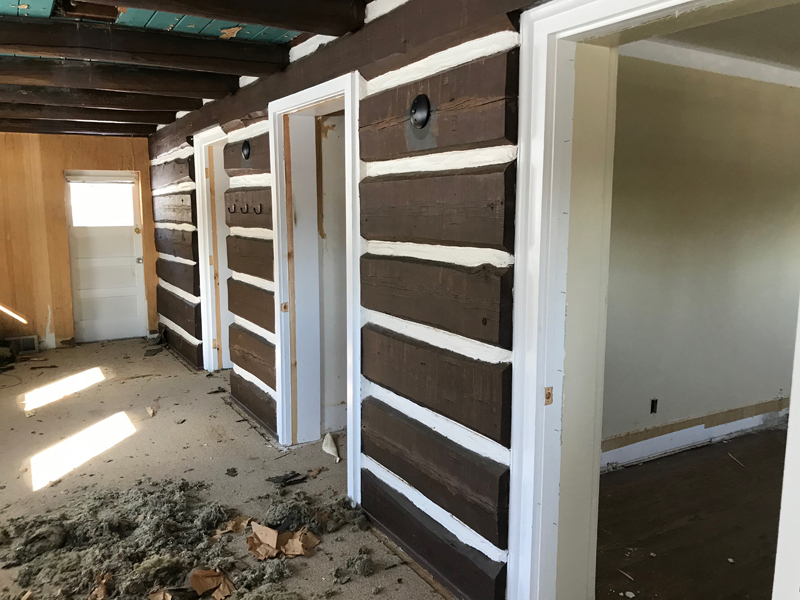 We've done some select demolition inside and the construction – other than the giant logs on the outside – is consistent with 1920's balloon frame construction. "I have seen the original 1921 linen drawings of the building that are on record down at the Central Library. 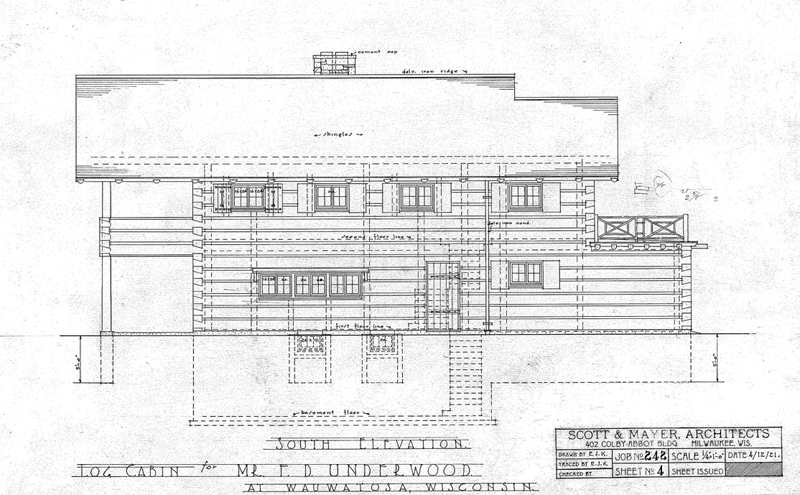 The building was drawn during the month of April 1921." 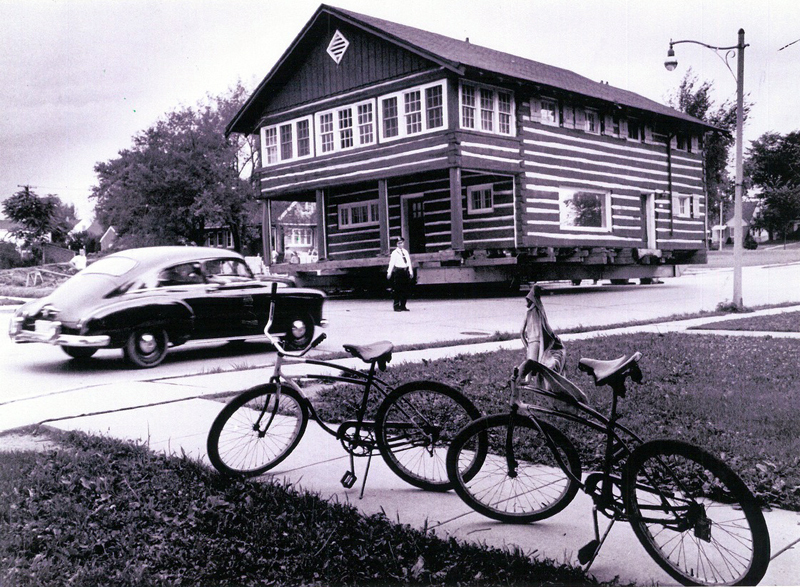 The cabin, which was built as a luxurious retreat rather than a rustic full-time home, was moved to its current site, across the street from the Wauwatosa Cemetery, in 1955 after the city bought the land for its new Longfellow School. In recent years, the cabin was used as office space. "The building has a history of being moved," says Carnahan. "It just seems natural, since it's a bit nomadic already, so ... for it to move on. We have a photo of the 1950s move day, and that was our inspiration right away. We thought, 'Well, this can obviously be done'." I visited the cabin last week as it sat on heavy semi wheels awaiting the big move day. To get inside we had to crouch down and make our way to a ladder that led us up in through a doorway. 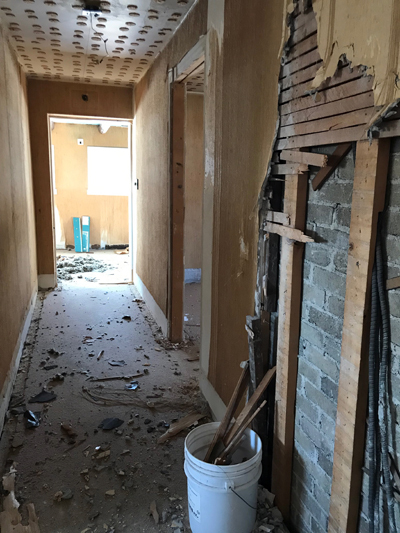 Much of the interior has been stripped. 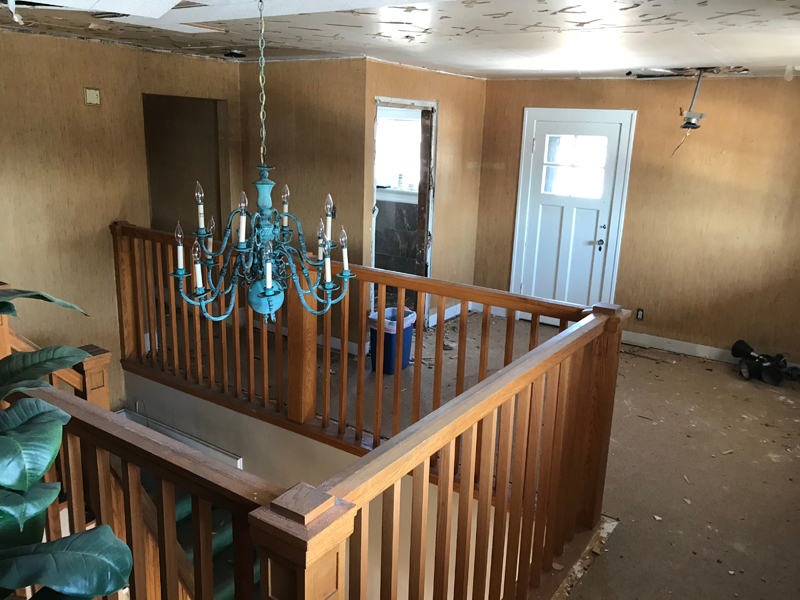 "We've taken a dumpster and filled it with all the bad decisions that have been made over the years," quips Carnahan, who notes that there was '60s wood paneling, acoustic ceiling tile and teal carpeting, among other things. 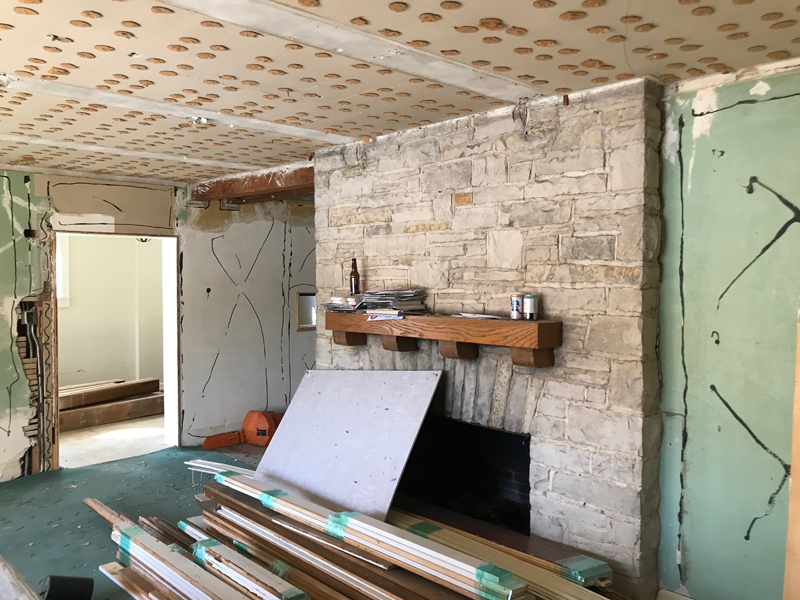 Once the move is complete, they'll strip much of the interior down to the studs, keeping original details like the Lannon stone fireplace surround. 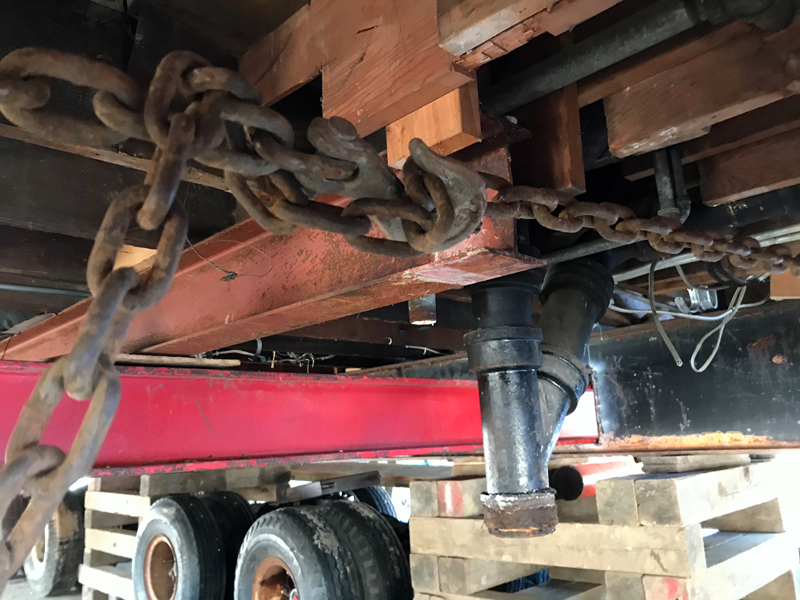 "But, we're trying to save and salvage materials so that we can re-use them and then just bring back a lot of the natural beauty of the structure," Carnahan says. "We've gone over it with a pretty fine-toothed comb," adds Galbraith. The floor plan of the main level – which has a kitchen built into what was originally a porch that was later enclosed – will stay the same and will serve as conference rooms. 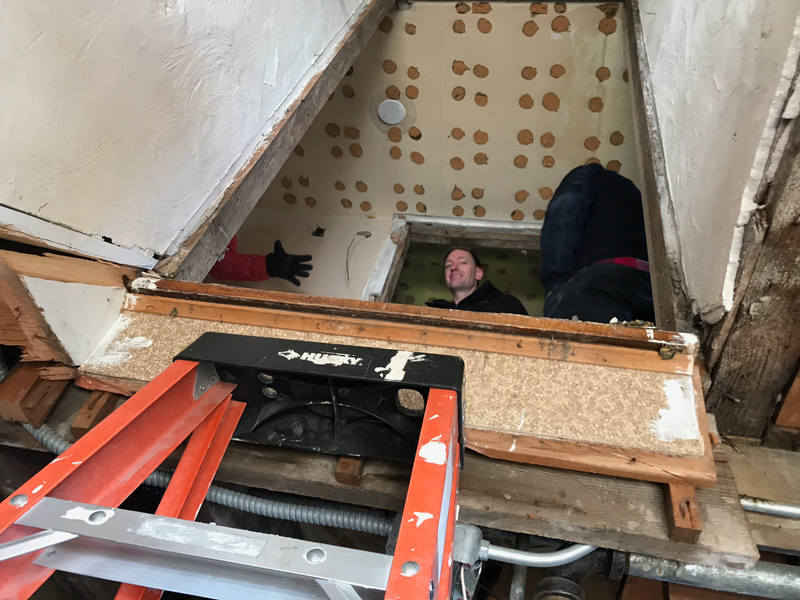 Upstairs, which was built with four bedrooms and four baths, but the layout of which has been altered, will be opened up to serve as an open-plan office and drafting area for the firm's eight employees. The new, bigger space will allow the firm to nearly double the size of its staff. Once it moves into the renovated log cabin, it will leave its current office space, says Galbraith. "Our architecture business is expanding and we need more elbow room," adds Carnahan. "This provides it. It fits beautifully on that lot, (which) we bought a couple of years ago with the intention of building an office on someday. And then this came along." Galbraith and Carnahan show me a spot where the plaster and lath is missing to explain how the building is put together. "It's legitimate 12-inch diameter logs," says Carnahan. "They're real logs, but they're not structural. The logs are all held together with these 6x6 wood posts and then they're lag-bolted together so it holds the frame in place. It was built with a balloon frame, it just happened to have log siding instead of bricks." Galbraith adds, "It's like a 1920s house with really thick siding." The first planned date for the move, in December, was stymied by snow and then the polar vortex moved in an has proved difficult. "It's not a easy thing to pick the cabin up and move it," says Carnahan. 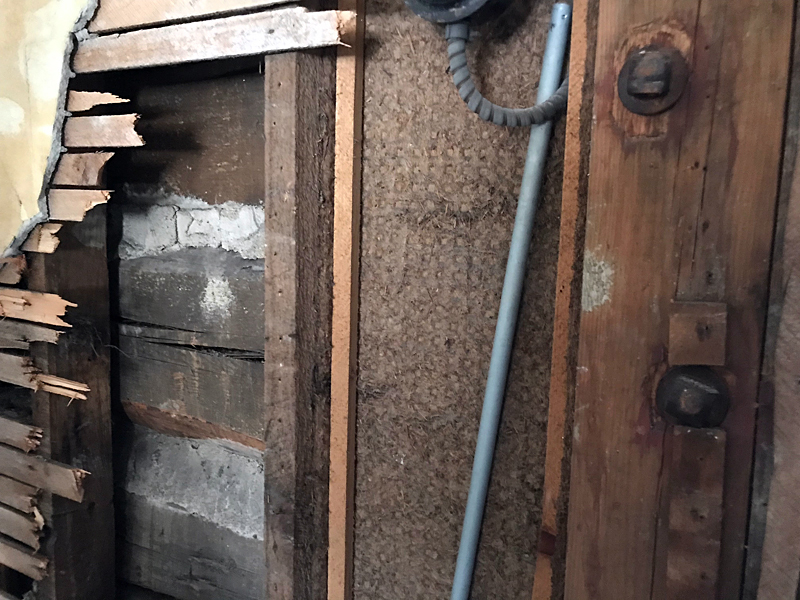 "They had started back at the end of December, and then we got a bunch of snow, and it warmed up, and there was about three and a half feet of ice in the basement since they hadn't finished putting their wood cribbing in yet. So they had to jackhammer out all of the ice, and pump the water out in order to get the cribbing in there. It ended up being a lot more than they had planned on initially." Carnahan says that at the new site, a new foundation has been built. Or at least part of one. "It actually won't be put on the foundation initially," he says. 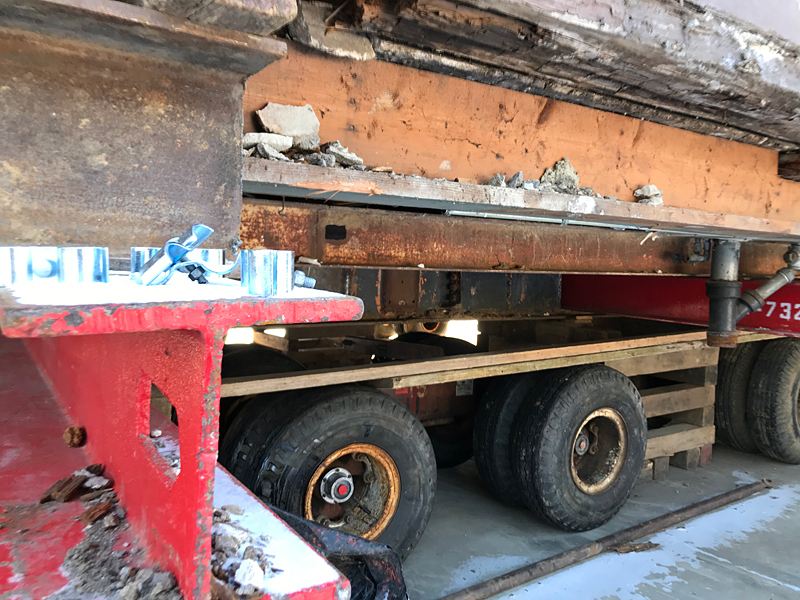 "They've got a wood trestle built across the foundation, so they'll back (the cabin) onto it and it'll just sit there in the air. 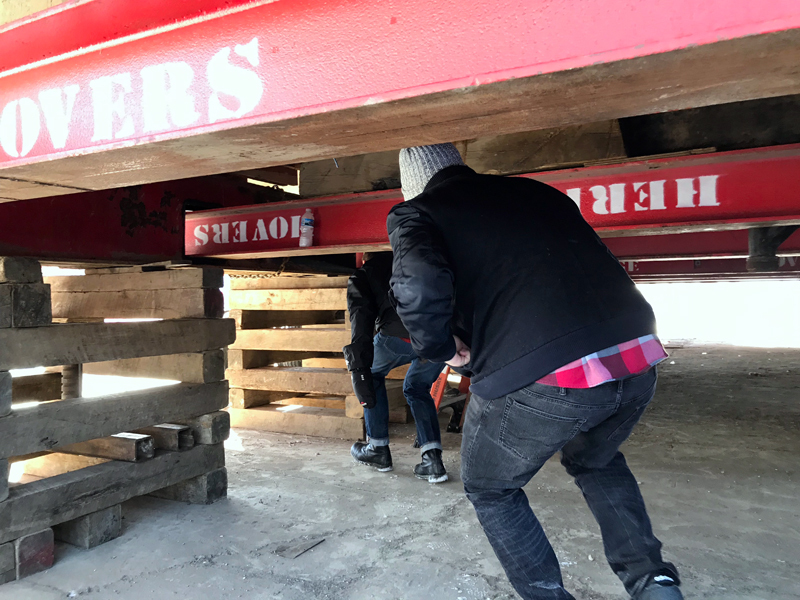 Then masons come in and block up the rest of the underside of it and then they'll remove the trestle." The move is slated to begin around 10 p.m. and it's expected to take about four hours. The architects expect the work to draw some spectators. "Maybe initially," says Galbraith. " I don't know how many people will be hanging out at 2 a.m., but we're going to try to get people out to watch it. It's not every day that you see a cabin going down North Avenue."